There must be some kind of magic at Sun Studio in Memphis, Tennessee. The studio was home for musicians like Elvis Presley, Jerry Lee Lewis, Roy Orbison, Carl Perkins, and Johnny Cash. There's a distinct sound that comes from that studio and it is unlike anything else. In 2011, Chris Isaak recaptured that magic in his album, "Beyond the Sun." The deluxe version of the album consists of 25 tracks honoring some of the most iconic music that came from Sun Studio. There are also two original songs written by Isaak. Those two sound so much like that of Presley, Orbison, and Lee Lewis that I hadn't noticed they were written by Isaak until I read the liner notes. 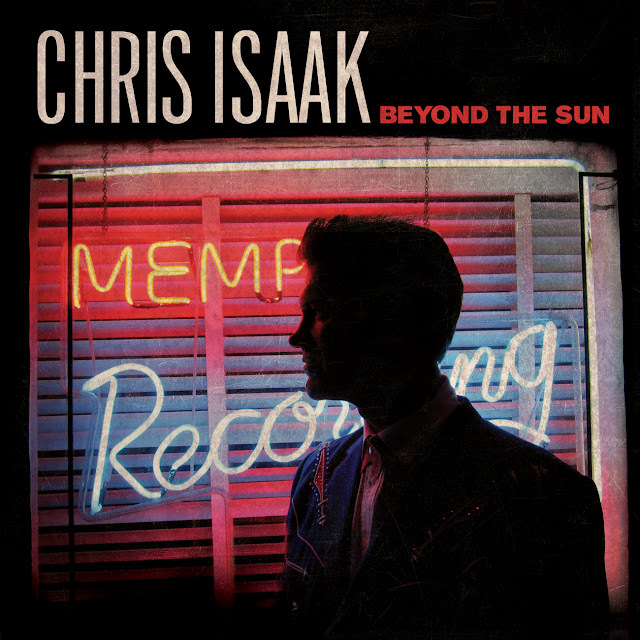 "Beyond the Sun" is proof of how much Isaak cherishes the history of rock music, and the liner notes read almost like a mini-biography of the Sun Studio era. There's no question of the amount of respect he has for those musicians. It's also clear by the same liner notes, as well as in interviews, that Isaak regards his band to the highest degree. To appreciate his sentiment, you might need some background on recording music. Today, just about anyone can plug in a guitar and microphone to a computer and record something. There are endless software programs that can tweak, improve, or flat out replace mistakes. Before this technology, however, bands had to rehearse a song until it was perfect. From there they would all gather in a small studio and record the song from beginning to end without error. Take after take, the band would play until they got the best -- most flawless -- version. As easy as it would have been to use today's technology, Isaak and his band chose the latter. 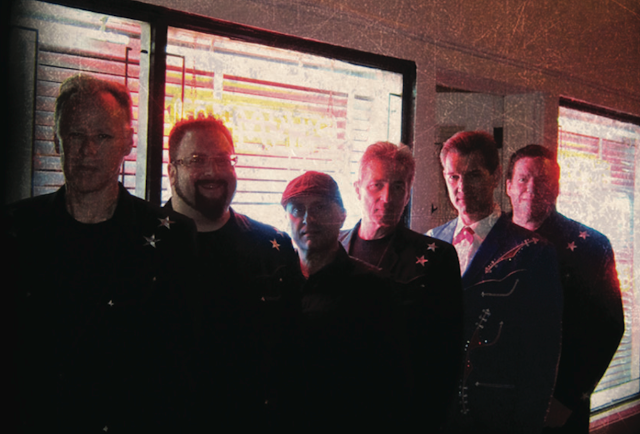 They booked time at Sun Studio, and recorded all 25 tracks just like Elvis or Johnny Cash would have. The result is a record that sounds so authentic to the Sun Studio era that if you didn't know any better, you'd think that Isaak and company hopped inside a time machine. Prior to "Beyond the Sun" any Isaak fan would have told you that he has one of the tightest bands around. They gel so well you wonder if they're just a bunch of clones. And for me, this album is the finest display of their talent. 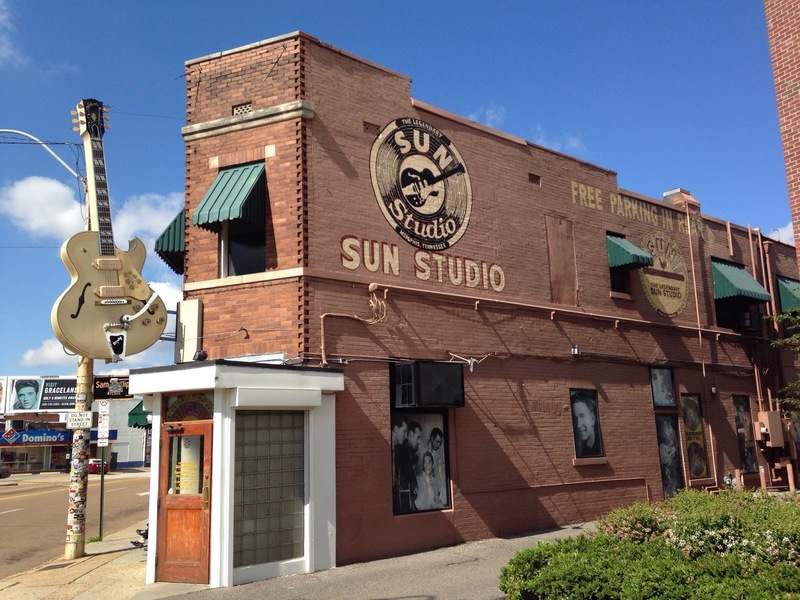 Sun Studio is no stranger to historians and music aficionados. It's a place of legend and even a tourist stop. It's amazing how a small building has made such a huge impact on music, history, and America. I hate to think how different music would sound today if it weren't for this little space in Memphis. Through the liner notes, I learned about Sam Phillips -- someone who seems to be under-appreciated by the general public. Phillips can be credited for creating the Rock and Roll sound, and also for finding some of the greatest artists, including Jerry Lee Lewis, Roy Orbison, and Elvis. Isaak tells a wonderful story about an article he read about Phillips, but instead of repeating the end of his story, I'll entice you by saying that it's worth it to seek out the liner notes to read it for yourself. Prior to "Beyond the Sun," there was another album that featured music from the Sun Studio era. Released in 2001, it was entitled "Good Rockin' Tonight: The Legacy of Sun Records," and was produced by Ahmet Ertegun (founder of Atlantic Records). PBS' American Masters also featured Sun Records on one of their episodes. Paul McCartney, Jimmy Page and Robert Plant, Elton John, Bob Dylan, Tom Petty, and many more can be found paying homage to the Sun Record Company. 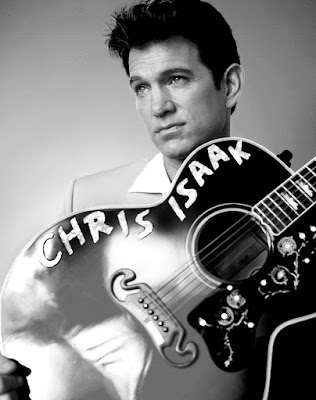 Chris Isaak even has a track on it -- his cover of "It Wouldn't Be The Same Without You." And though this record is full of wonderful artists, the tracks are, for the most part, covered in the artists' own style and not quite the authentic sound that Isaak captured for his 2011 record. Album cover and back sleeve for "Good Rockin' Tonight: The Legacy of Sun Records"
Ever since I was young, I've had a love/hate relationship with covers. Some artists know how to take someone else's song and make it their own, keeping the spirit of the song intact. Others just want to make a quick buck by covering a famous song. "Beyond the Sun" is all love. No one else but Chris Isaak and his band could have done what they did. TRIVIA: While in college, Chris Isaak was an amateur light heavyweight boxer.